If you work in a business-to-business market you’ll realise the importance of carving out a niche in an increasingly crowded global marketplace, but you might lack focus when it comes to defining a B2B marketing strategy. A poorly defined B2B marketing strategy is not only an inefficient and ineffective way of promoting your business, but it can also negatively impact your brand identity. So, what are the key elements of building and executing a strong marketing strategy for your business? What is a B2B Digital Marketing Strategy? First thing’s first, do your research! Seek to understand your target audience, and define who it is you are trying to reach through your B2B marketing strategy. This will help you to remain focused and will ensure you put across a clear marketing message that is intended for the most receptive audience. Make sure you concentrate on your core audience; it is impossible to reach everyone all at once and doing so would not be the most efficient use of your budget or time. 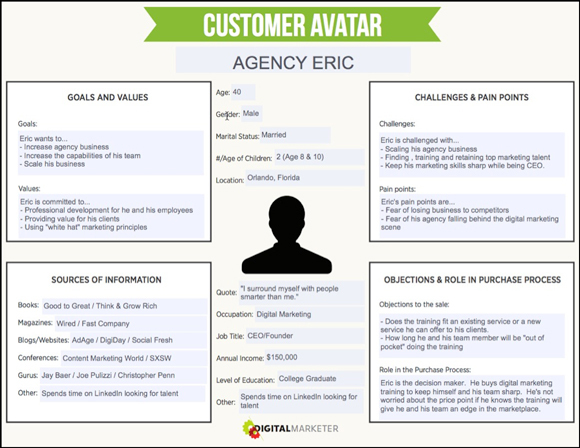 Consider creating your ideal target persona to centre your B2B digital marketing strategy around. What media platforms are they most likely to be using? What traits will trigger interest in your service? Doing so can help you to gain better insights into what your customer’s needs and concerns are and will help you present your message in a way that addresses those needs. Get to know your competitors and how they operate – particularly those who are leading the way in your industry. Learning B2B marketing tactics from your rivals will give you an excellent grasp of how well certain B2B marketing strategies work within your sector. Now you know your market and are clear on the niche your company fills within this market. What is it that sets you apart from your competitors? Perhaps you can deliver faster than any of them, or offer something that doesn’t exist yet? Keeping this in mind will assist you when it comes to creating your B2B content strategy as you move forward with your overall plan. So, you’ve done your research and you have a better insight into your customers, your market and your competitors. Now it’s time to put this information to work as you begin to shape your B2B digital marketing plan. 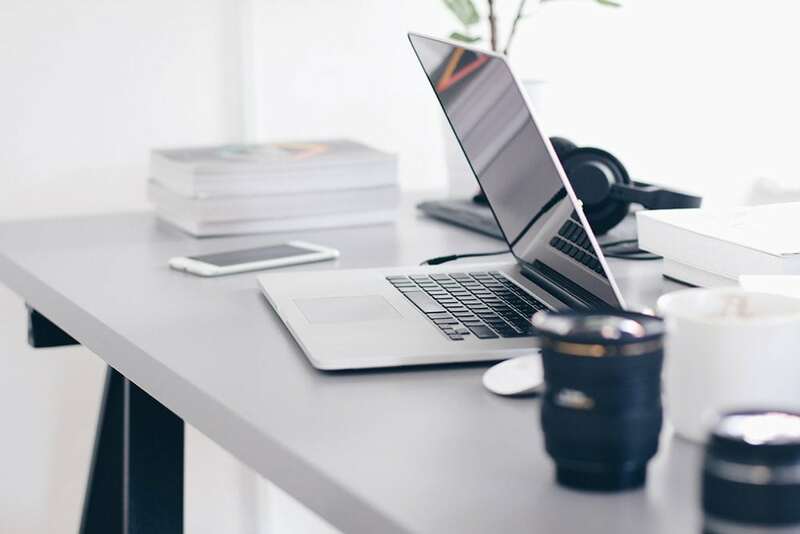 Most B2B companies use a variety of digital marketing approaches, for example through the use of a lead-generating website, social media channels or email marketing campaigns. However, to gain the advantage in the digital marketing space it is best to have a coordinated digital strategy that’s in keeping with your overall B2B marketing message, designed to reach the target audience you have already identified. As you plan your approach, make sure you determine which digital marketing methods would be the best for your type of business. For example, B2B Marketing studies have shown that email marketing, SEO, social media marketing and content marketing consistently outperform all other marketing approaches. You may wish to start off by focusing in on just one or two approaches that fit your business best and monitoring the results. If, for example, you have an existing database of customers, an email marketing campaign might work well, but for newer businesses, a B2B strategy that centres on social media marketing might be better for building initial brand awareness. At this stage in the process, it is also helpful to consider your limitations. If you have a tight budget a super advanced website might be unattainable. Instead, a good quality microsite, or a standalone webpage might be the most economical way to produce leads for your business. Once you’ve decided upon which methods you are going to focus on in your B2B marketing strategy, you can then begin to put your plans into practise. Social media marketing – this can be used as an accelerator for building the profile of your brand, extending your reach and pushing content. It also lets you connect with your target market in a more immediate way and enables you to monitor brand perception through social listening via comments, likes and shares. Content marketing – this should always be a key element of your B2B marketing tactics. Content marketing is an approach that is focused on creating and distributing valuable and informative content that helps to attract and retain your target audience – with a view to driving potential customers into profitable action. Search marketing – (SEO) – often listed by high-growth companies as their most valuable marketing asset, SEO (search engine optimisation) ensures your target audience is able to locate your website through search engines like google. Email marketing – using analytics-driven email marketing campaigns enables you to tailor content such as offers or promotions to a specific market or a group of people who are at a specific stage in the purchasing process. You can also push out relevant, valuable content to audiences to increase engagement and help position yourself as an expert in your industry. Goals are the end result that you want to achieve. This might be measured by number of leads generated or number of people reached. Milestones help to break up goals into achievable stages, and help to keep your strategy on track. Specific – exactly how many leads do you want to generate? Measurable – how are you going to measure the number of leads you receive from your new marketing tactics? Achievable – how are you going to achieve your goal? Do you have a clear marketing strategy or are you just going to hope for the best? Relevant – will your goal actually have an impact on your business? For example, what’s the point in 10,000 Instagram followers if they’re not interested in what you have to offer! Timely – set a date in the future to reach your goal by. Typically, 3-6 months works best for testing different B2B digital marketing tactics. Once you’ve put your B2B marketing strategy in place, identified the methods you wish to put into practice and tested them, it is important that you then analyse the results. Measuring the response to your B2B marketing campaigns will help you understand what is working and what is not. You can then use your data evaluations to further refine your marketing plan and make it both more efficient and more profitable. It is critical that you analyse the right metrics to effectively measure results. Google Analytics is helpful for measuring and evaluating your website traffic. Hootsuite and in-house analytic systems on each of the social channels can provide detailed data for social media marketing. MOZ and Google Search Console help you to measure your SEO results. 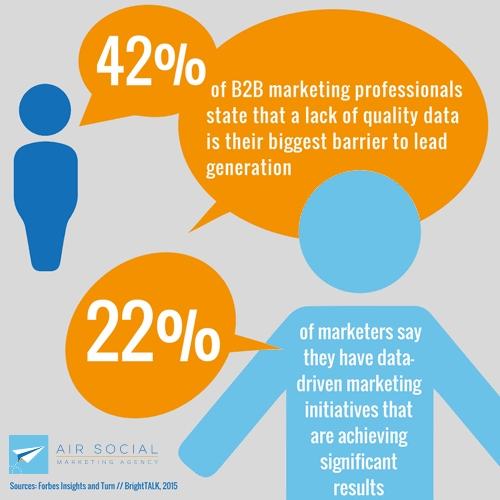 Building and executing a B2B marketing strategy that works for your business can be daunting. Following a clear structure and remembering to test and analyse your approach, further refining the plan as you go, will help to transform your business. Understand what is involved but don’t know where to start? At Air Social, your business is our business! We make sure we fully understand your digital marketing needs before working with you to achieve your desired results. Get in touch with us here to tell us more about your requirements.